If you’re lucky, you’re keeping cool by running your air conditioner nonstop now that it’s the middle of July. If you’re unlucky you are lying on the floor covered in rapidly thawing bags of Trader Joe’s frozen entrees. If you’re part of the former group you probably also ran up an electricity bill so big that you’ll need to take out a loan next month. In that case the Climatic table could be a big help. The sleek piece of furniture, designed by Frenchmen Raphaël Ménard and Jean-Sébastien Lagrange of ZEF Design, contains a layer of phase change material (PCM) under the wooden top. The waved PCM absorbs or releases thermal energy depending on a room’s ambient temperature, allowing it to act as a sort of natural air conditioner in the dining room. Now, it won’t take the place of your air conditioner (or your frozen orange chicken from TJ’s) but it will cut down on the work it has to do. Ménard and Lagrange estimate that by absorbing excess heat the table could drop your AC bill by 30 percent. Then, if it gets cool at night, the PCM will release the heat back into the room. 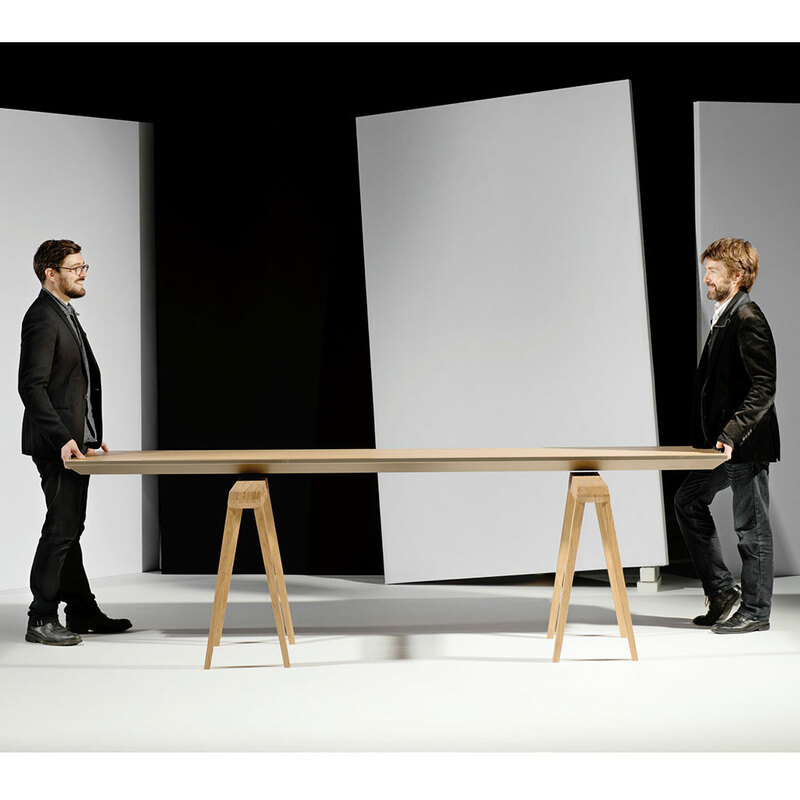 The table is still in the prototype phase, but Ménard and Lagrange are planning an entire suite of heat absorbing furniture and home goods. Maybe come next summer you’ll be able to leave the air conditioner off and the food in the freezer.